Antonio Jiménez joined Sanifit in 2016 as General Consel and Vice President responsible for the operations department. Antonio Jiménez is a lawyer with over 17 years experience as legal and strategic adviser for international investors in Spain and consultant for start-ups. Prior to joining Sanifit, Antonio Jiménez developed his career in the law firm Monereo Meyer Marinel-lo Abogados, which is ranked in the top 30 law firms in Spain and is also recognized in international directories like Legal 500 and Chambers. He was designated partner in 2009, member of the Board of Directors in 2012 and first Sole Managing Partner of the Firm in 2014, being responsible for the increased professionalization of the management team and developing the new strategic plan. He has served as Secretary and/or Adviser to the Boards of Directors of diverse international companies in the tourism, leisure and energy sectors and has advised international banks, venture capital companies and investment funds in their investments in Spain. Antonio Jiménez agreed on a voluntary leave of absence from Monereo Meyer Marinel-lo Abogados to join Sanifit. He also served as Secretary of the Sanifit Board and external legal adviser for Sanifit between 2008 and 2015, advising the company in all financial rounds during this period. 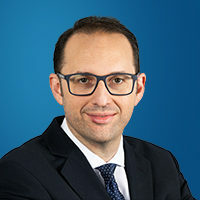 Before starting his career as a lawyer, Antonio Jiménez gained his law degree in the University of the Balearic Islands and in the Paris Lodron University in Salzburg (Austria).